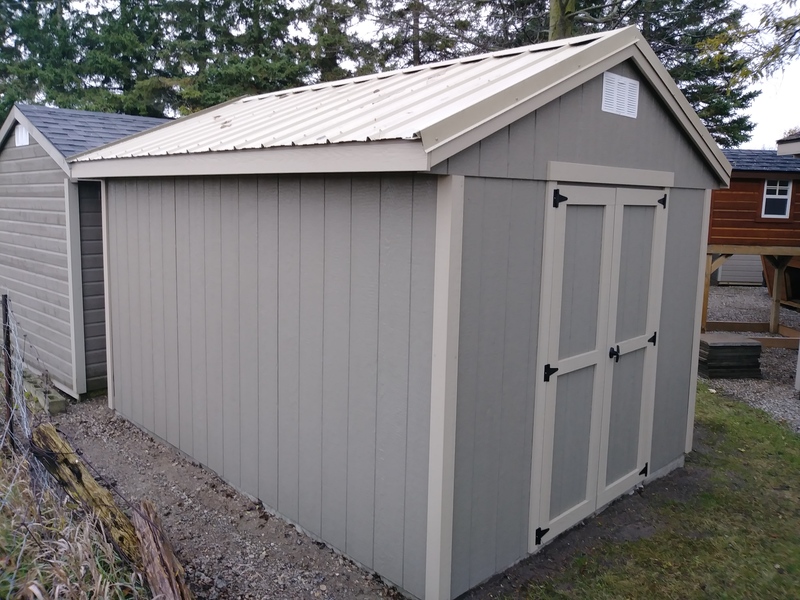 If you’re looking for a more durable roofing material for your new shed then upgrade your standard asphalt shingles to steel. We offer 2 colours (Black or Dark Brown). When ordering this upgrade we credit you the cost of OSB (roof sheathing) and asphalt shingles. You only pay for 1×4 spruce strapping, steel roof pannels, ridge cap and gable trim.